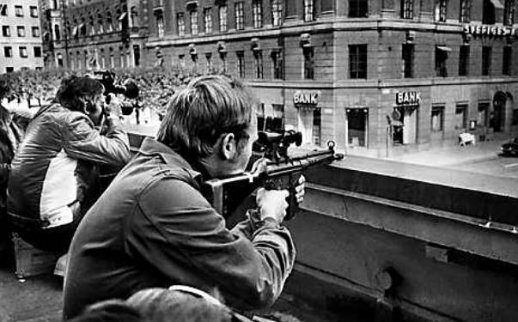 On August 23rd, 1973 two machine-gun carrying criminals entered a bank in Stockholm, Sweden. Blasting their guns, one prison escapee named Jan-Erik Olsson announced to the terrified bank employees “The party has just begun!” The two bank robbers held four hostages, three women and one man, for the next 131 hours. The hostages were strapped with dynamite and held in a bank vault until finally rescued on August 28th. After their rescue, the hostages exhibited a shocking attitude considering they were threatened, abused, and feared for their lives for over five days. In their media interviews, it was clear that they supported their captors and actually feared law enforcement personnel who came to their rescue. The hostages had begun to feel the captors were actually protecting them from the police. One woman later became engaged to one of the criminals and another developed a legal defense fund to aid in their criminal defense fees. Clearly, the hostages had “bonded” emotionally with their captors. This emotional attachment and protective behavior of an abused or captive person towards his captor, abuser or tormentor is known as “Stockholm Syndrome” and is coined after the 1973 Stockholm robbery incident. Though seemingly illogical and unnatural, this syndrome is common among hostages and those who are victims of abuse in a relationship. They exhibit behaviors that are protective and empathetic to those causing harm to them and ensuring to maintain the situation where they keep getting abused.